Hey! I thought you might want to know what I was up to last week (read: I really want you to want to know what I was up to last week). 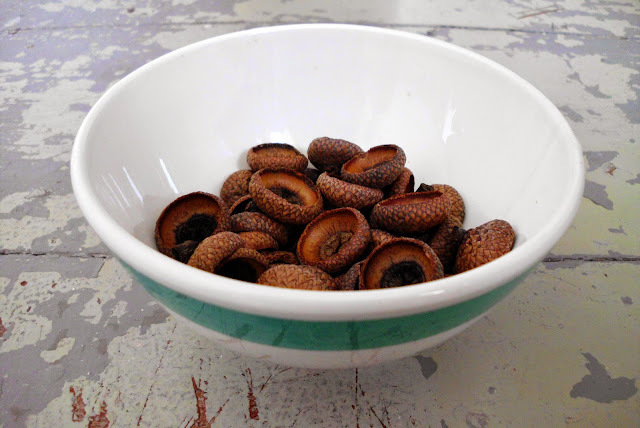 First: I didn't manage to find any more acorns with caps like those I used in the glitter acorn ornaments tutorial. But I did manage to find acorn caps without acorns! Right next to the university you could see me stuffing muddy acorn caps into the pockets of my (new!) coat one day last week. I cleaned them, dried them in the oven using the remaining heat from baking this, and voila! They're beautiful. I only don't know exactly what to do with them now. But there will definitely be an amazing post about it. Better get some acorn caps ready! Second: Late night sewing adventures. I've been working on a big shopper bag for my mom for Christmas. I finished it by now and it's g.o.r.g.e.o.u.s.! I don't want to brag about it but I think it's ok to be proud. And I'm VERY proud. I never made such a bag before. From scratch. I didn't even have a pattern for it. And making my very first zipper pockets was scary. 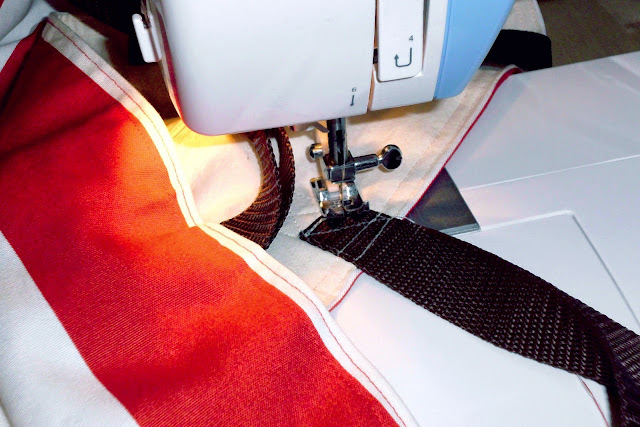 Why practice before if you can sew your very first zipper pocket right onto the center of the front side of the bag? I hope my mom will love it as much as I do (Because if she doesn't I will keep it for myself! No no. Just kidding.). Third: This is a super actual update. It's what I'm doing in this very moment. Sitting on the bed, working on university-related stuff and on this blog post with freshly painted nails. 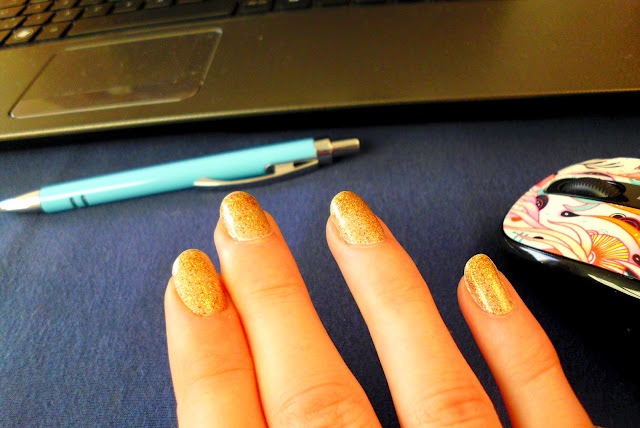 Some festive golden glitter nail polish over a white base coat. I love the look of it. I think I will wear glittery nails more often. And now back to work. Friends, have a good start into this week!